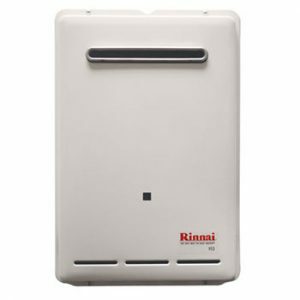 The Rinnai V53eP tankless water heater efficiently delivers up to 5.3 gallons per minute (GPM) of hot water. This easy-to-install, ultra-compact unit lets you enjoy all the benefits of Rinnai tankless water heating. You will experience clean, reliable hot water at a consistent pre-set temperature, while saving energy and precious floor space in your home. Lastly, V53eP is ideal for one- to two bedroom homes and is for outdoor use only.